My rating: 8/10. Tough Solar Multi Band 6 Accurate Durable Timepiece. Today I’m doing a G-Shock GW7900B-1 review. This Casio G-Shock timepiece is part of the G-Rescue series and offers brilliant value for money. It’s fitted with many of the most popular G-Shock features whilst still remaining very affordable. 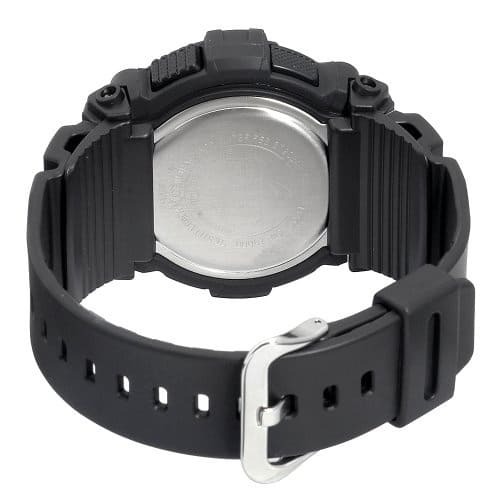 This is a popular mid range watch that features both the atomic timekeeping Multi Band 6 technology as well as the Tough Solar movement that makes this a solar powered watch. You’ll see from this GW7900B-1 review that the watch offers impressive value for money with its G-Shock trademark toughness and function-rich design. As always I wanted to start out with a quick look through a few of the technical specifications of the GW7900B-1. This gives you the chance to have a quick skim through and instantly see if there is anything you like or dislike about the watch, like the size of the timepiece. Later on, I’ll be taking a look at each aspect of the watch individually. With its typical G-Shock design this Casio timepiece is built to be robust and durable. The watch movement is housed in a stainless steel casing, this casing is then protected by a thick resin that surrounds that watch, this it what gives the timepiece its shock resistant design. It’s a popular affordable oversized watch with a 50mm casing diameter and a thickness of 18mm, this makes it a chunky timepiece, whilst this will favour many, it’s also not so suitable for people with smaller wrists. The dial makes use of a negative display which is nice and easy to read with 3 fragmented windows to display specific functions of the timepiece. There’s also a LED backlight used for illumination making the watch easier to read in dim lit conditions. Most fans of G-Shock watches will be well aware that most of their timepieces come with a selection of useful features. The standard features include a countdown timer, 4 daily alarms, and a 1/100 second stop watch. Extra functions include moon data from the moon graph and a tide graph that’s often found on fishing watches. The watch also makes use of a power saving feature and has a battery saving indicator on the dial. 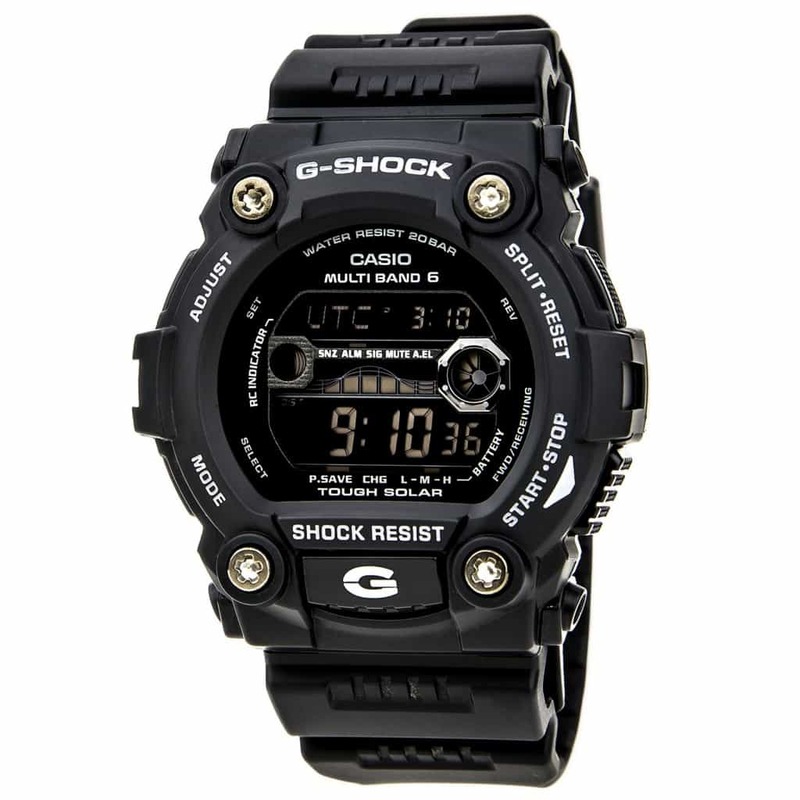 This hardy Casio G-Shock watch features a mineral crystal glass. This type of crystal glass lens has been specially hardened to make it stronger than traditional glass. This gives it a better level of scratch and shatter resistance. It’s popular in affordable watches and perfect for the G-Shock range due to the shatter resistance. 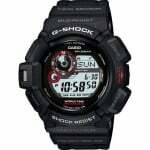 The strap of this G-Shock GW7900B is made of a thick durable black rubber. This strap fastens securely with a single tang buckle that has a stainless steel clasp. The water resistance rating of the G-Shock GW7900-B-1ER is a very impressive 200m, also known as 20 bar. As per wikipedia, this is suitable for professional marine activity, serious surface water sports and skin diving. Many of the Casio G-Shock range offer quality water resistance ratings so it’s no surprise to see a 200m rating in this watch. 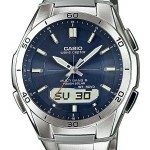 At the heart of this timepiece is one of Casio’s popular Tough Solar movements that make use of Multi Band 6 technology. You can learn all about Tough Solar watches here. Solar powered watches are becoming more and more popular lately. They work by harnessing the power of light, be it natural or artificial and converting it into electrical energy using a solar cell. This is then stored in a rechargeable battery to power a quartz style movement. A key benefit to solar watches is of course, the fact you never need to replace a battery, it’s eco-friendly and money saving. The Multi Band 6 technology keeps the timepiece extremely accurate by synching up with an atomic clock. I wanted to point out some of the pros and cons of this Casio GW7900B-1 and display them in a nice and easy to read format so you can see if this watch is right for you. So in today’s review, we’ve taken a look at some of the benefits and negatives of this Casio G-Shock watch. Overall I’ve always been quite a big fan of the G-Shock collection, I feel they offer pretty great value for money with a very low entry level making them ideal for most people. 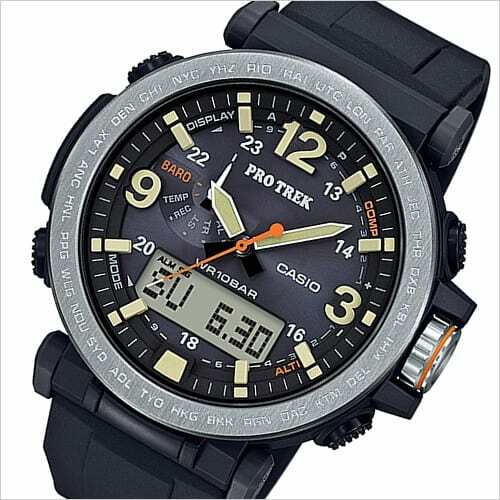 These are well-built watches often featuring useful functions as well as impressive technology like the Tough Solar movements and atomic timekeeping with the Multi Band 6. I’d happily recommend the G-Shock Gw7900B-1 to anyone, to be honest. The only thing I would really focus on is whether or not that person likes large watches because if you don’t, a 50mm timepiece just isn’t going to make you happy. Overall I really like the Casio GW7900B. We took a look at some of the watches benefits and highlighted some of the negatives associated with it but I feel it still deserves the 8/10 that we’ve awarded it. I hope you enjoyed having a read through of this Casio G-Shock GW7900B-1 review. As always let us know in the comments what you thought. Why not check out our top 100 best watches under £500 next.